Two years ago our family was introduced to Brinkman Adventures. At the time were blessed with the opportunity to review the third season of the exciting audio drama, and we really enjoyed it. The company tells about the adventures and trials of real life missionaries while keeping you on the edge of your seat. When we were given the chance to review another adventure, Brinkman Adventures Season 4 we were thrilled! We couldn’t wait to see what kind of adventures they had in store. 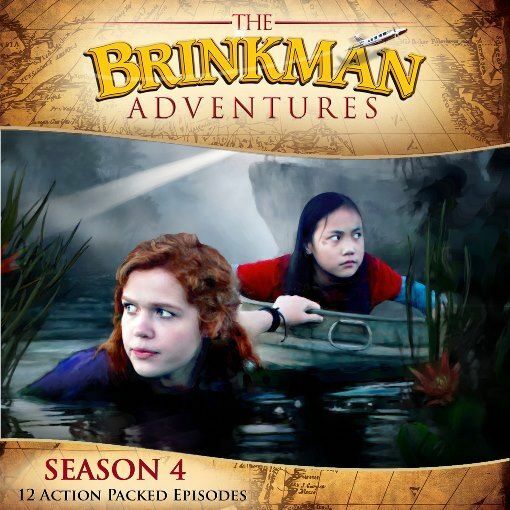 We received a digital download of Brinkman Adventures Season 4. It is also available as a physical product that comes on four CDs. There are twelve different adventures to enjoy giving you almost five hours of entertainment. We enjoyed all of the episodes. One of our favorites was Aisha’s Fear. It was about a woman, Aisha and her husband Mahad. Mahad didn’t like the westerners and was overall a very hateful man. He beat his wife and would refuse to sell his products to Christians. After a while Mahad became very sick. The Christians who he refused to sell products to became his only customers because other people in the area were afraid of catching his illness. The Christians helped Mahad and cared for him when he was sick, even though he was hateful to them in the past. Eventually Mahad accepted Jesus and became a changed man. After seeing how her hateful husband changed, Aisha decided that she wanted to accept Jesus. But doing so was dangerous. It was a crime. Aisha not only accepted Jesus, but told many people about Him. She ended up getting thrown in jail, but she didn’t lose her faith. In the end, the person who threw her in jail was amazed with her bravery and released her. This episode shows the dangers that are faced daily by not only missionaries, but by those who they minister to. It shows that you can overcome fear with love and that God can change the heart of even the most hateful person. Each adventure tells the story of a different missionary from around the world. There are adventures in the Middle East, Russia, the Congo, Cambodia, along with other undisclosed countries. Each adventure not only tells about the trials each missionary faced, but also teaches a valuable lesson. AJ and I listened to the episodes together. After listening to each adventure we went online to the Brinkman Adventures website to learn even more about the true stories of the missionaries. In order to make the stories appropriate for younger audiences, and to have the episodes flow well, sometimes elements of the original stories had to be changed a little bit. The website allows you to dig deeper into the stories. We listened to some of the episodes more than once because we enjoyed them so much. Season 4 did not disappoint! It was just as good as season 3. These audio adventures are well done. The sound effects, different voices, and attention to detail make you feel as if you are actually in the different countries. If you are looking for a way to introduce your children to the work that missionaries do, Brinkman Adventures would be a great place to start. The audio drama would also be perfect as part of a geography study, a way to keep your kids entertained while in the car, or just as something to listen to for fun.